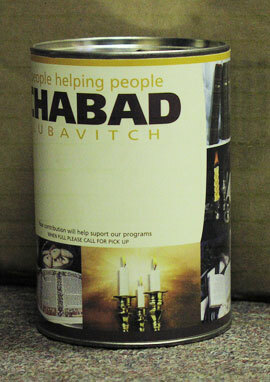 This 3" x 4 1/2" Pushka comes with a metal top and a reusable metal bottom. with a beautiful full colored customized or none customized label, Other sizes also available upon request. Shipping Price above is per 140, A $25 set up fee will be charged for all custom orders.